Exclusive! Tiers of joy! The perfect layering piece, our soft sleeveless blouse features a tiered front with button-down placket and collared V-neckline. 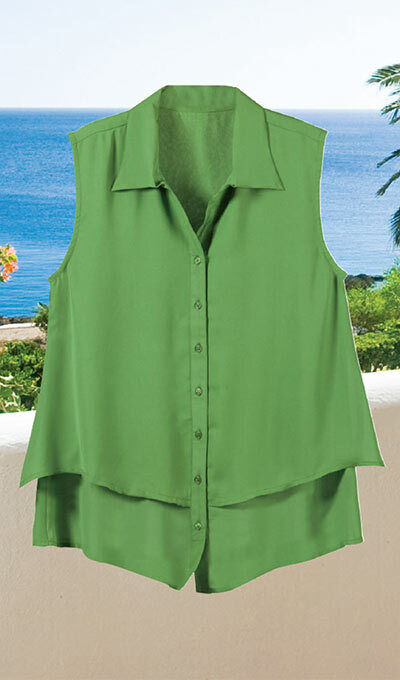 Our Breezy Layered Blouse is great under a blazer or on its own. Polyester. Machine wash. Imported. Misses, approx. 28"l.